... which means I'm fine. 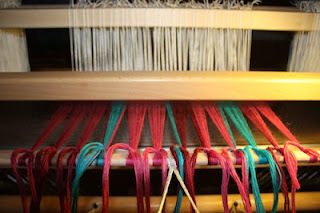 I spent most of yesterday in my studio and I'm glad to report that my loom is now ready for a new project. I named it "Rose in Autumn II". Do you remember? I dyed the fabrics for my first Twelve by Twelve Colorplay quilt. 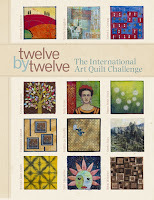 Which makes me think that the Colorplay quilts are now Down Under, almost ready to start their 2013 tour. 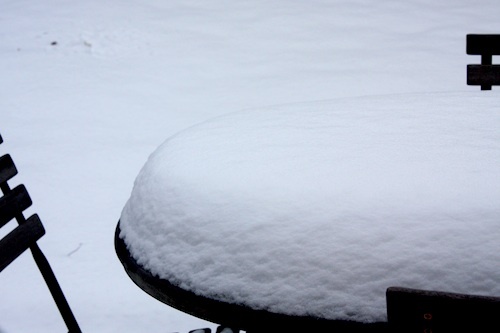 And just one more picture of snow, quickly before it's gone. I tried snow dyeing the other day. The results were not particularly exciting except for a few pieces which gave me ideas for other experiments. I'll post pictures in a few days. Weaving is on my bucket list! I would love to learn it... one day! What dye do you use for snow dyeing? Good to hear that you are fine :-). 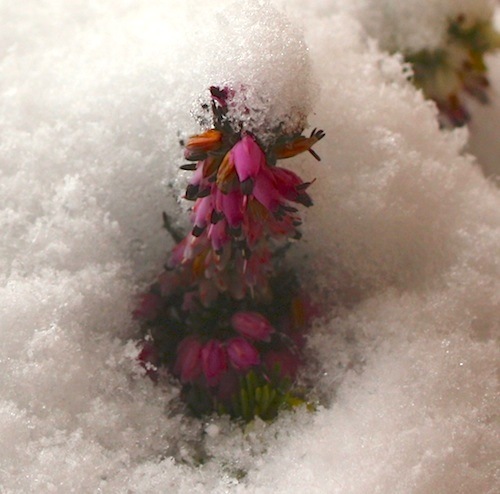 I love how the color pink (or maybe better: autumn rose...) travels through your whole post. 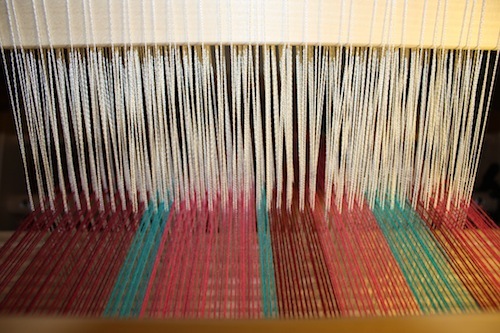 Love the colors on your loom. Can't wait to see what you do. 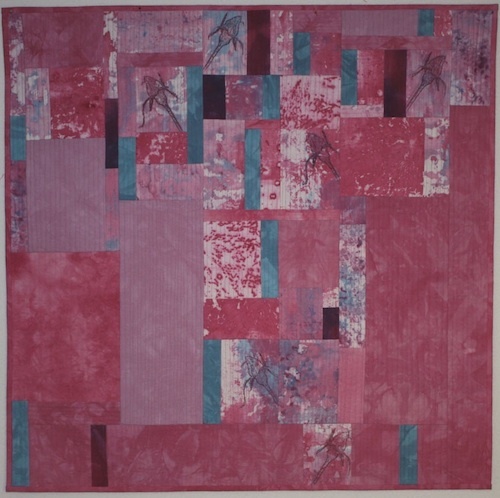 I really like your little quilt, too. Stay Warm. Lovely warm colours in your beautiful quilt and on your loom, just the perfect occupation for snowy weather.looking forward to seeing your progress. 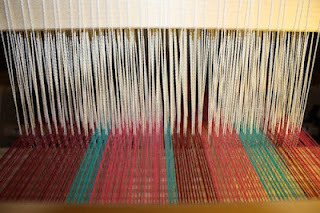 Thanks for a glimpse of your weaving--it is fun to watch a project in progress!